gentleman spends some of his fortune to support and preserve ancient artisans, violin makers, craftsmen, puppeteers — on his estate. They all had little huts and workshops and he paid them to simply go about their traditional business. He did it because he believed that it should be done. The size and spending power of the American middle class can, sometimes, replicate that. There are still some classic, family businesses that hum along, producing the finer things with all the care of their predecessors. We visited one in Great Falls, Virginia. While America was going through Watergate, platform shoes and polyester, Jorge Adeler, native of Argentina, was importing precious stones from South America. He wouldn’t go through middlemen; he went to the mines and the tiny mining towns themselves, with their quick strikes and Wild West atmosphere. And they were rough places. 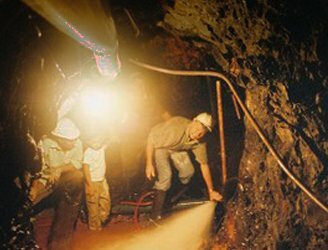 “I always went directly to the mines. They weren’t called towns, they were just mine regions. They weren’t the best areas, and the food, especially, was not civilized. Once we had to chase a rooster all night to catch and eat him. “I found the 90 % of the people different but not fearsome. They were pleasant and gentle. All I had to do was come to their way of life and cultural foundations. That is one of the beautiful things about primitive cultures-once we can bypass our own fears. Jorge Adeler, 60, arrived in the United States at the age of 27 The whole country was buying turquoise. Turquoise and silver. He immediately decided that there was enough blue in the country and started bringing in his own colors. From that, he started his family business. A soft-spoken, articulate grandfather, he is now corporation president and head designer at Adeler Jewelry, a company serving the same community for thirty years. Something he didn’t calculate and possibly hasn’t even noticed is the warmth of the place, because it is actually an extension of a home and a hearth. Mr. Adeler is one of the lucky people whose children follow gladly in his art, and get real good at it. He taught his daughters, and they followed. Now, they all run the floor. Adeler regards the main purpose of a piece of jewelry to be a time capsule, to capture the moment. “You want to remember your accomplishments or your romance. It’s one of the few things with longevity. So, if your circumstance is unique, how can you not ask for something special that reflects your soul in that piece?” Adeler regards that as the key to understanding the customer, to ask him what message he or she wants to say. A collection of jewels actually starts, ideally, for a family before the family even exists. Engagement rings, bridal gifts, anniversary gifts, baby gifts, charm bracelets. Every milestone in a family’s life is commemorated, or set in stone, as it were. All the way to inheritance jewelry. This last is usually restoring or more often remodeling. His favorite part of the job is, besides the traveling, the interaction with his customers. It is also the most difficult. It’s a true consultation, and a financial advisor takes no less time with his clients. “When I design, I normally chat with customers about the essence of the design that they are hoping to accomplish. Many times the clients don’t know exactly how to describe what they are looking for, that’s where I search and fish for the topic, for the desire or the emotion that I have to deliver.” There’s no consultation fee, and if he guesses wrong, and comes up with something the client doesn’t like, there’s no charge. It’s intense and challenging. When someone inherits an out-of-style item like a cluster cocktail ring, it bespeaks another lifestyle. Things have changed, the society is less formal and there are fewer occasions that call such things, and a piece can be as dated as the 1950’s cocktail dress it adorned. One of Adeler’s jobs is to bring it into the 21st century, for instance, removing the diamonds and making an eternity band. The mere mention of the word “history” will get Adeler talking about his related passion: pieces of history that he can hold in his hand. Jorge Adeler has become a coin collector and treasure hunter. He’s become a bit of a fiend for rare coins, and this fascination led him to both co-finance treasure hunts and turn old coins into jewels. This took him into a world where a single gold coin can sell for $100,000. “It was motivated by my passion for history, ” he says. “It’s an incredible world. You can address sentimental, geographical, religious, adventurous, every aspect of who we are today. 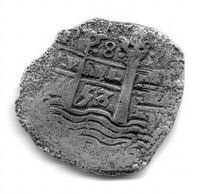 History is documented through coinage. 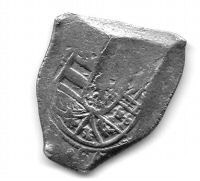 Not surprisingly, the coins of the shorter-lived emperors are the most valuable today. As rulers, Caligula & Julius Caesar had little in common except that neither of them lasted very long. As a consequence, their coins are among the most valuable. And one day he realized that coins can be integrated into high-end jewelry. The next logical step was to try and find his own old coins. Which means that he can live the fantasy of people all over the world: treasure hunting. Ninety percent of treasure hunts come up dry. Last year he contracted on a treasure hunt off Florida. They brought up a lot of seaweed. “I believe that the relationship of jewelers to clients is similar to doctors to patients. It is a personal relationship. Because we are a family we understand the needs of a family. 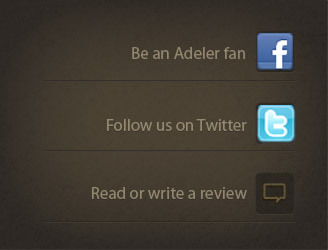 For more information about Adeler Jewelers or with specific questions – Contact us.